I shared in January that my theme for 2017 is the Danish word “hygge.” That basically means I’ve been working at keeping things cozy and friendly and making my home a sanctuary for the outside world. That works just great in winter (although we had one of the mildest winters ever!) 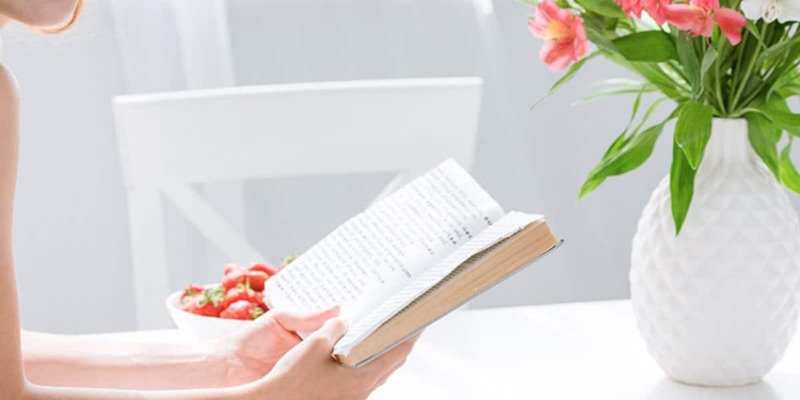 because so much of the hygge concept seems to assume we are huddling inside away from snow, but can you still embrace hygge when the weather gets warmer? Of course! 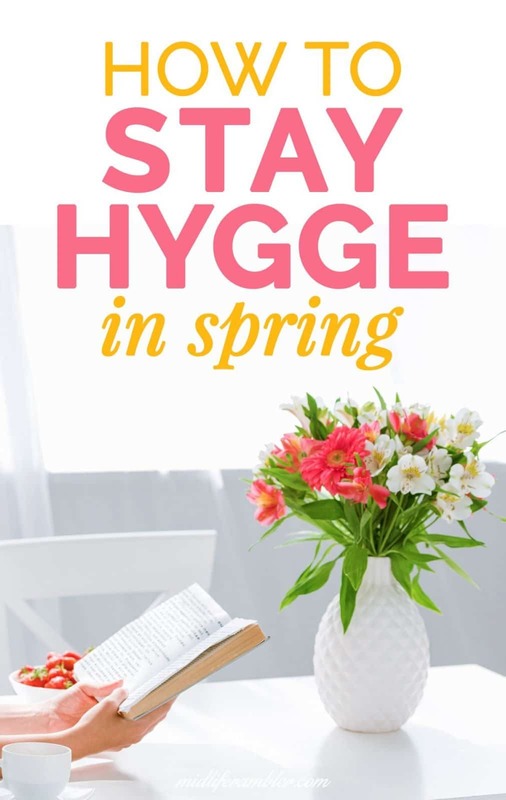 Here are some ways to keep the hygge spirit alive during spring. 1. Give your house a thorough spring cleaning. After huddling inside all winter, it’s time to brighten your house for spring! I spent all day Sunday cleaning, shining and most important, purging to reduce the clutter that seems to build up almost inevitably. 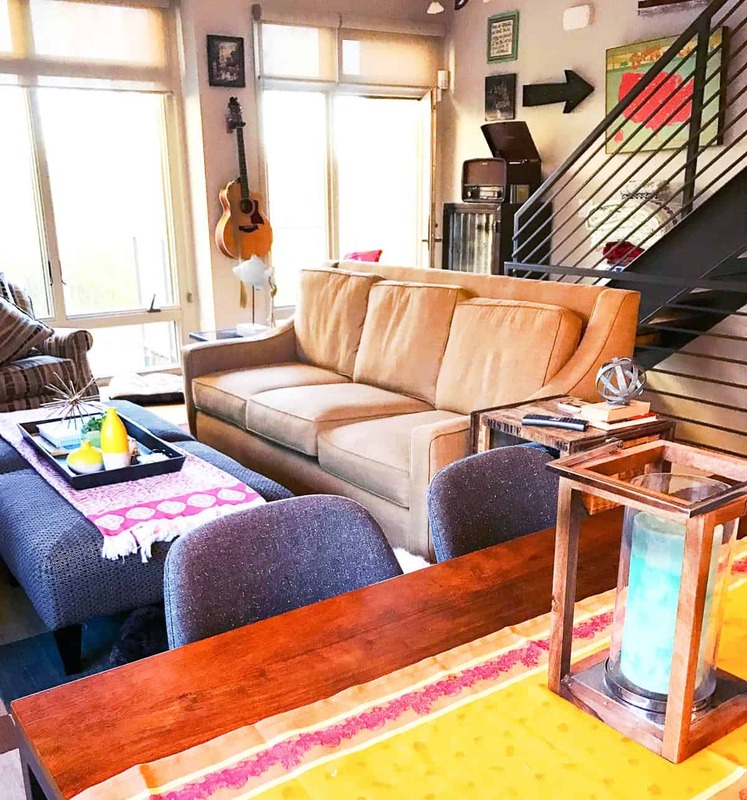 Now the house feels bright and airy and I was delighted to spend a comfy Sunday evening nestled on the couch enjoying my refreshed home. 2. Take out the dark colors and bring in the bright colors. I treated myself to a mini shopping spree during my spring cleaning and changed out several of the dark accessories I had been using during the fall and winter with some bright spring colors. Now our living area still feels cozy but much lighter in feeling. 3. Don’t forget the candles! 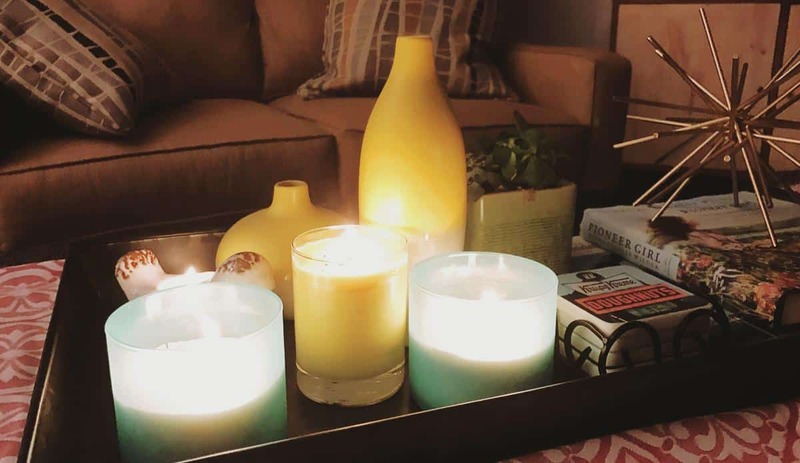 Candles are appropriate year-round for warming up your space and filling it with a wonderful fragrance. I switched out my winter scents for bright, spring scents like Linen and Beach. And I love to burn them in bulk! It fills the house with warm light and makes us all feel cozy. Spring flowers are an obvious choice here – they are so pretty and brighten up the house. 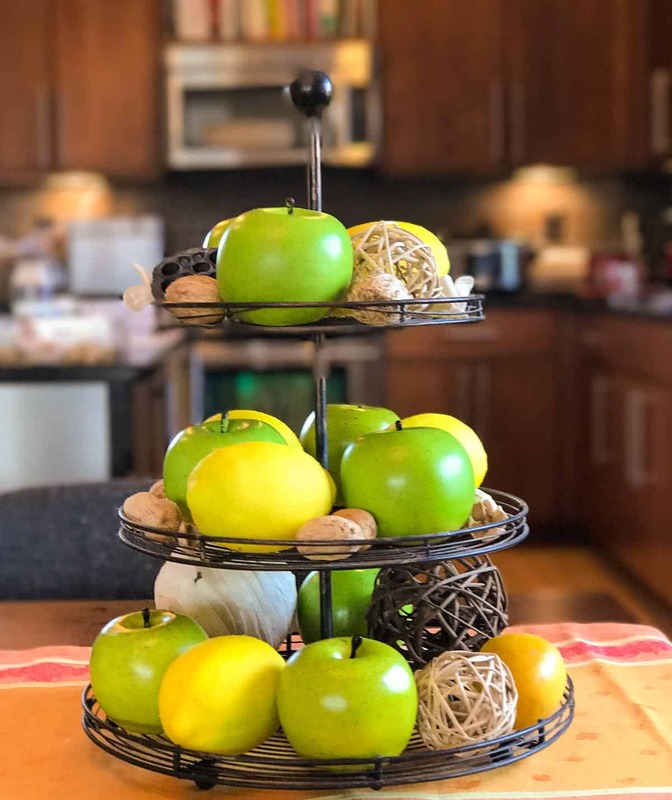 But you can also go outside the norm and set up a nature-themed centerpiece for your dining table like this repurposed cake stand here. 5. Switch out your bed linens for a colorful, lighter weight spread or duvet. There’s nothing cozier than burrowing under a thick feather duvet in winter, but that can get pretty hot here in the south when the weather turns warm. 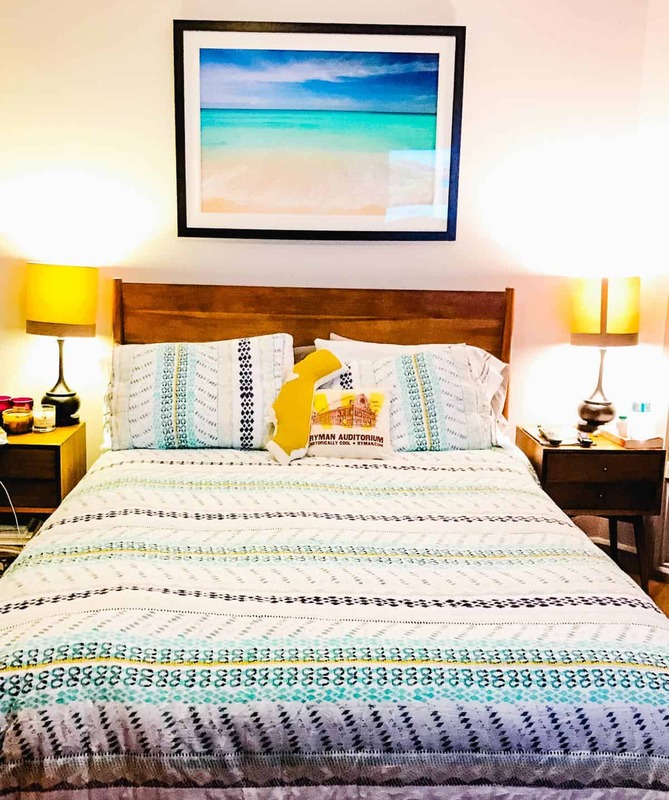 A colorful and lightweight bedspread can lighten up your room and bring the sunshine in. And don’t forget to add some crisp cotton sheets so you just slide into bed. Hygge is all about sharing your life with friends and family. Once you’ve gotten your home in spring hygge shape, why not invite some friends over for an easy-peasy dinner party? Here’s a great idea for the easiest dinner party ever. Hi Amy! Thanks I love it too! I got it last year at Home Goods.